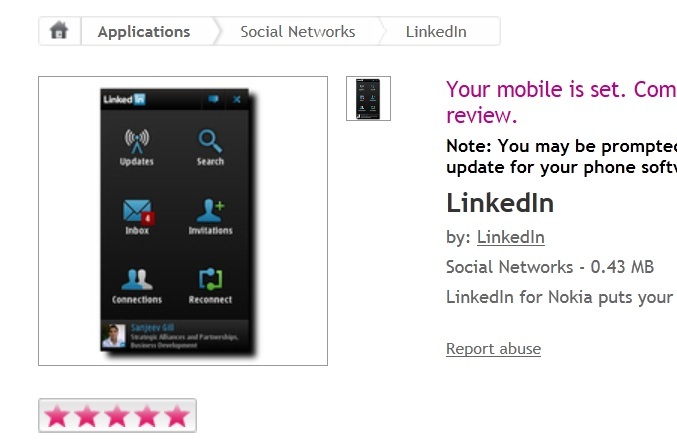 Fahoum and S.A. have tipped us that LinkedIn for Nokia (made in Qt) is now available at Ovi Store. Fahoum says, “it is amazingly fast and responsive”. « Microsoft Close to Buying Skype? Deep integration into Windows, Windows Phone, XBox and Kinect?